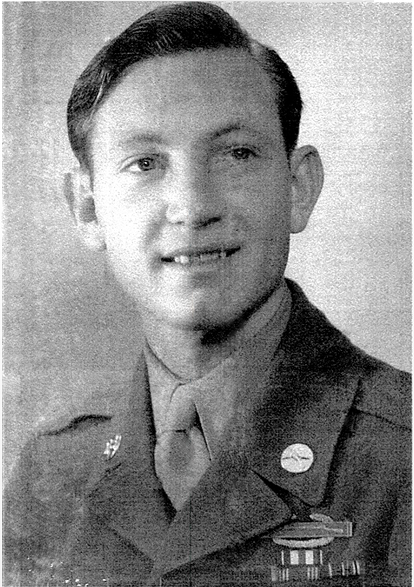 Talmage Geiger entered the service on 13 January 1944 and participated in battles in Rome Arno, Southern France, the Ardennes and Central Europe. While assigned to the 142nd Infantry Regiment in Germany, Tech5 Geiger was assigned the mission of leading a demolition team in knocking our a pillbox in the Siegfried Line. In the face of intense enemy small arms fire, he led his men across trenches, over fallen trees and through barbed wire entanglements to within 40 yards of the emplacement. He then crawled forward alone, cradling the heavy charges of explosive in his arms. Although exposed to machine gun and rifle fires from other pillboxes, he courageously advanced to the door of the his objective and set off his charge. As a result of his gallant act, three German soldiers were wounded and six were captured. For his gallantry in action, Tech 5 Talmage Geiger was awarded the nation's third highest valor award, the Silver Star. Tech 5 Geiger was awarded the Purple Heart twice for wounds received in combat. His other awards include the Combat Infantry badge (CIB). Talmage Geiger was discharged from the service on 1 January 1946.